Since the summer of 2001, we've been serving fresh juices and superfood smoothies from our little stone cottage on Barton Springs Road in the heart of Austin. Our fun-loving team fuels dozens of locations throughout Texas plus one in Brooklyn, making people feel better from the Third Coast to the East Coast. 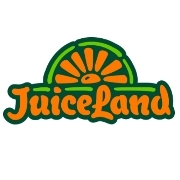 Find your nearest JuiceLand today and let us make all your drinks come true!